I'm writing to say a basic hello, and I hope this message finds you well and in good spirits. It's been a while! This is just a quick email about a project I'm really happy about. I've been a big Yoko Ono fan for years, and this is a mini project we put together a while ago. Thurston Moore from Sonic Youth plays guitar on the track, and the whole album has folks like Cat Power, The Flaming Lips, Peaches, Hank Shocklee (who produced Public Enemy), and others. 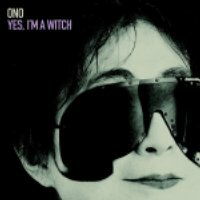 The album title is called "Yes, I'm a Witch" and its Yoko's first full length album in a while. If you have a moment, the track I did with her will be up on my myspace page a bit later today, and the official release of the full album will be on February 6, 2007 on Astralwerks. It's called "Rising" and its one of Yoko's poems - her voice came out great in the mixdown, and I'm really happy with the track.